The effects of corrosion on metal building components range from aesthetically undesirable appearances to hazardous structural conditions. 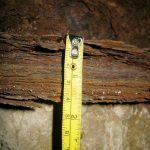 This is particularly the case for masonry buildings constructed in the early 1900s, where unprotected structural steel is often in contact with exterior wall construction. 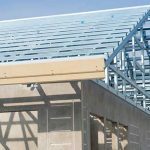 Structural steel has been the material of choice in the building market for decades because of the numerous benefits it provides. 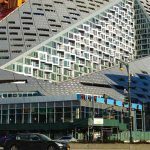 While steel offers an effective and efficient framing system for the building envelope, the hot-dip galvanizing of both interior and exterior elements is one method to provide a durable and maintenance-free corrosion protection system for generations. Galvanized sheet is used in many industries, including construction, automotive, appliance, electrical hardware, drainage, and HVAC. While there is much information about the corrosion rate of zinc in the myriad environments where this product is used, the specified zinc coating mass is sometimes not suited for the end use. 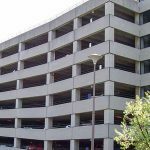 When it comes to parking garages, durability is key, as they are often located in busy metro areas where closure, repair, or reconstruction can be disruptive. Time, labor, and material costs for renovation are also prohibitive. 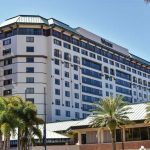 These structures are generally made from reinforced cast-in-place or precast concrete, making corrosion one of the most common challenges to durability.